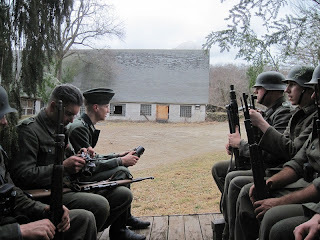 For this event the unit recreated a quiet weekend along the Rhine estuary, defending a suburb of Koln during March 1945. 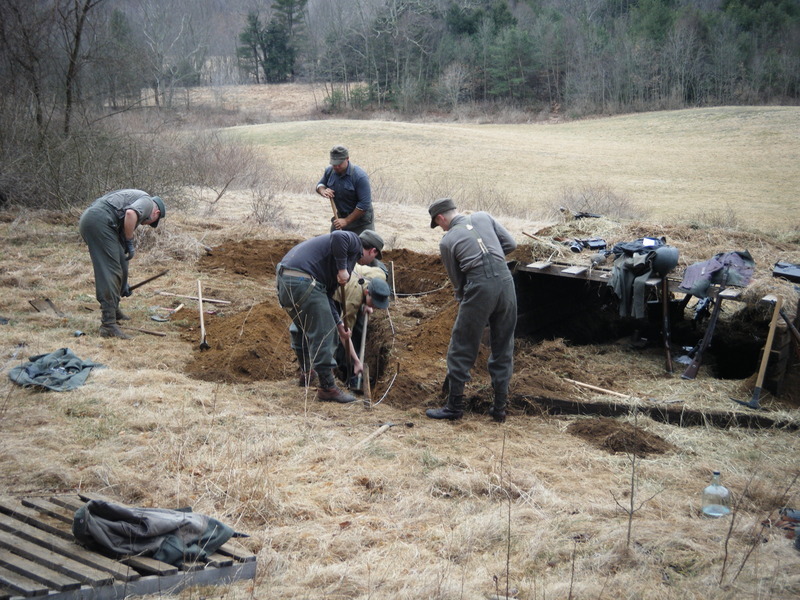 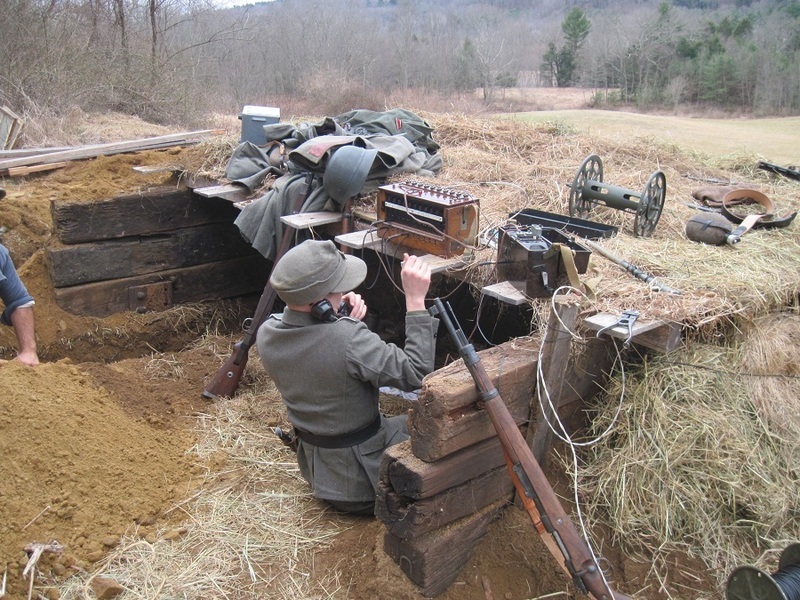 Our primary goals included the construction of semi-permanent field positions, a field communications network, establishing a Vorpost (listening station), and a functional headquarters for the depleted Kompanie. 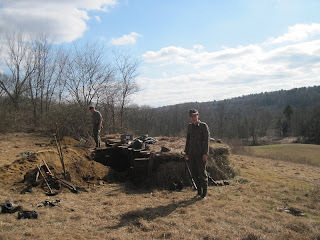 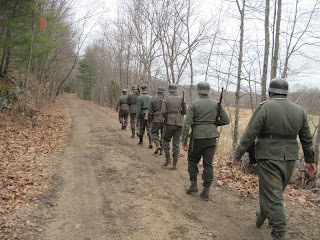 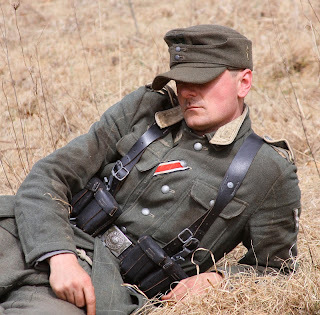 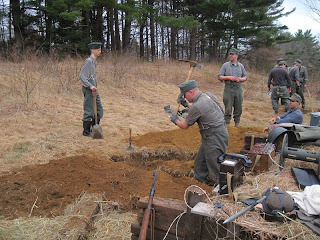 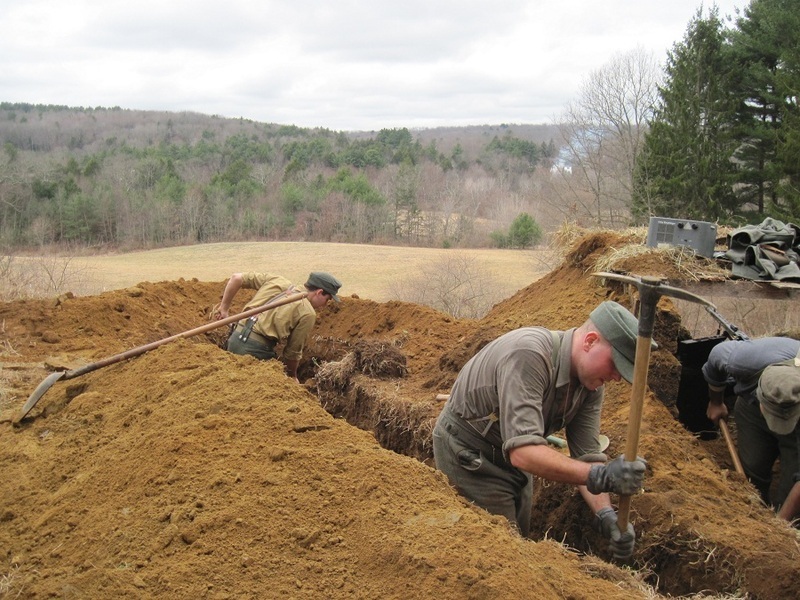 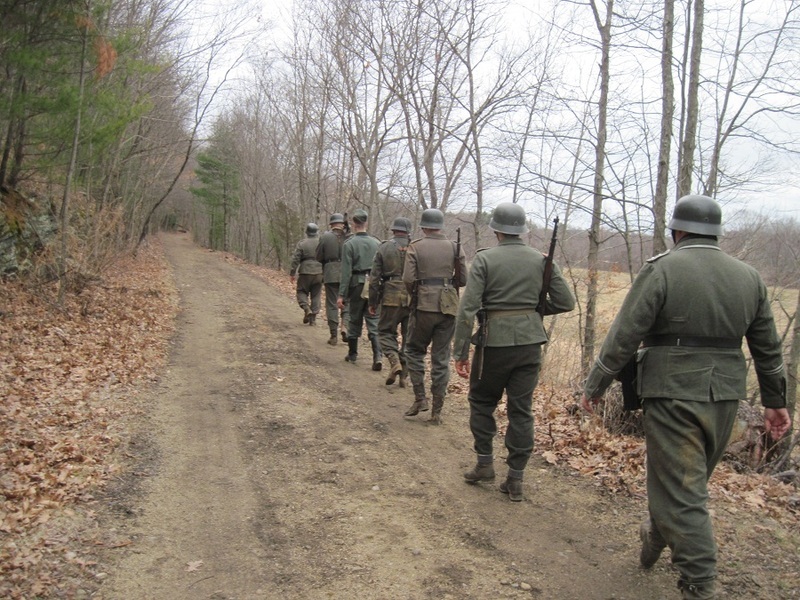 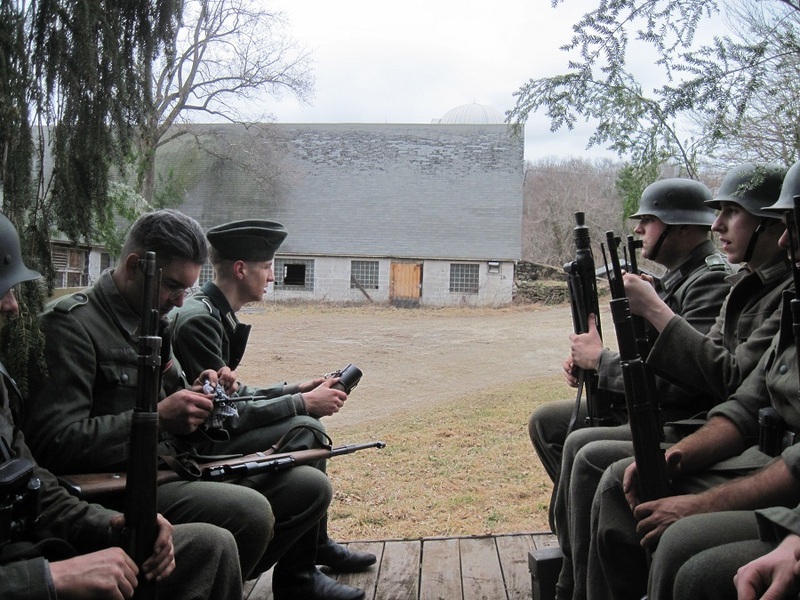 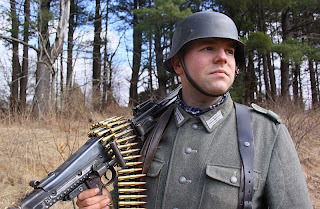 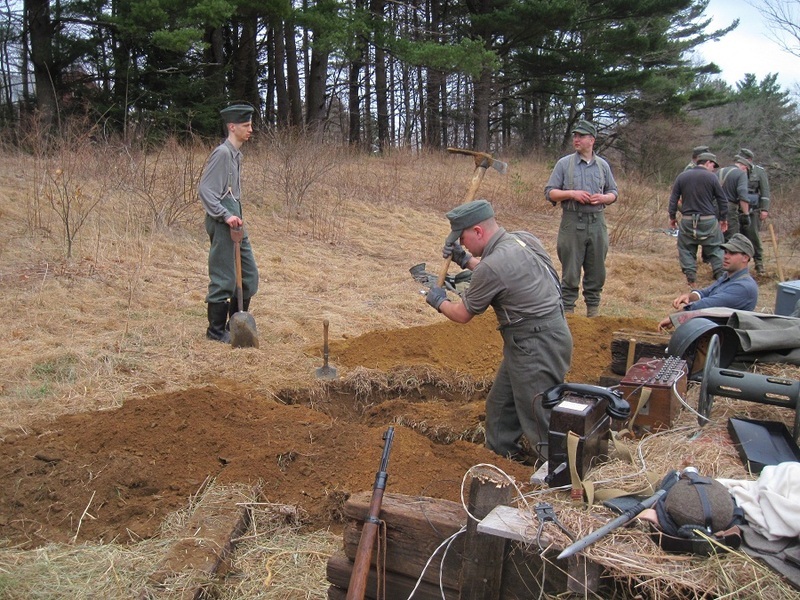 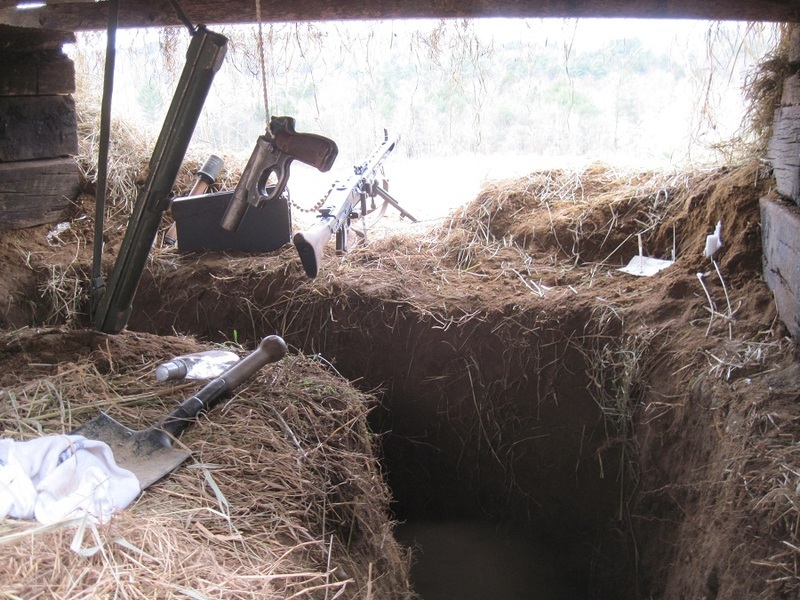 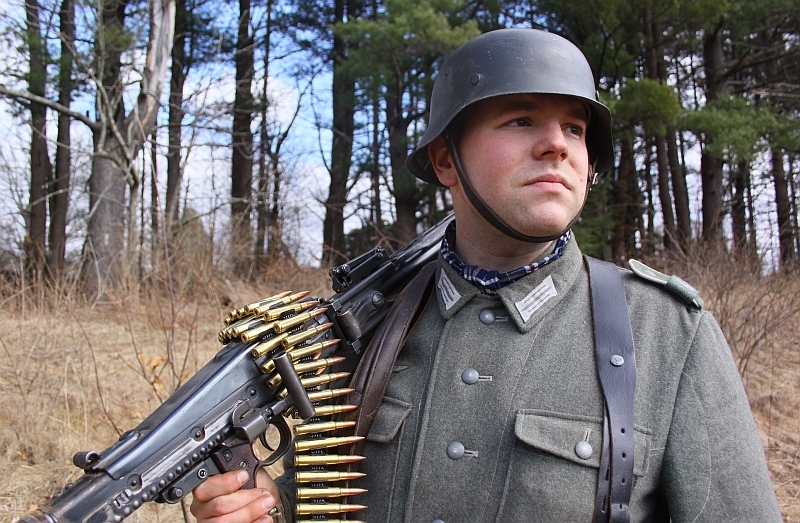 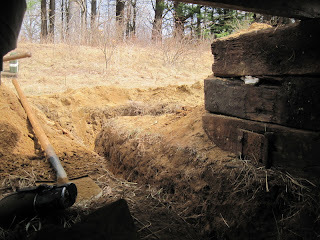 This event was another unit-only immersion scenario where no tactical takes place and members get to experience the minutia of living in the Wehrmacht during the latter stages of the war. 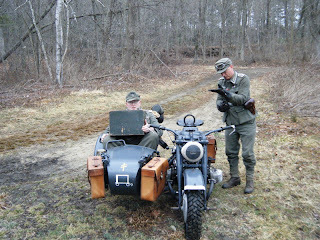 Feldwebel Clauss and Hauptfeldwebel Tietze return from a Krad patrol bearing a box of captured supplies.